It’s a little word that carries so much weight. In time…we heal, dreams come true, things come to pass, purposes are fulfilled. 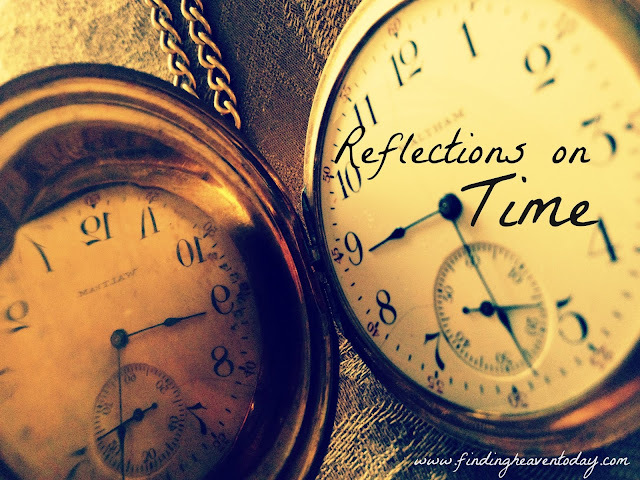 In my mid-50s, I’m on the other side of a lot of time. And I’ve learned a few things along the way. 1. There is a time to let go. I’ve spent so much of my time raising children…34 years, including my stepdaughter. Now it’s time to let go. Each one of my four daughters has left home. And it’s good. It’s supposed to happen. But it’s been a long time since my home was quiet, still, empty the way it is today. I miss the noise, the singing (lots of singing), the sounds of tears and laughter, the squeals of victory and the cries of defeat, I miss the sounds of coming and going. Don’t tell my kids, but I even miss the mess. Their rooms are neat and sterile. And it doesn’t take time to clean up a room that’s no longer being used, no longer lived in. 2. In time, it’s going to be okay. My friend Sharon was telling me about all the changes ahead for her.…selling her home, relocating, moving in with and caring for her mother, a daughter getting married. Lots of newness, lots of unknowns. Each change she described was followed by, “But, it’s going to be okay.” I know what she means. I’ve too gone through a lot of changes. It takes time to adjust, but eventually we do…and it’s okay. 3. This too shall pass…is what my grandmother used to say. She had a pretty tough life—an Irish washerwoman alone raising a wild child, lost her husband to the Great Depression, left crippled from a break that never healed, and near blind from a degenerative disease. Yet, she made it through with strengthened faith and the will to keep going and keep looking up. Her mantra became a part of me when I faced some terrible times in my life. The raw unexpected devastation of loss…even this, in time, passed. 4. Time flies. Whoosh…and it’s gone. But on the other hand, I’ve lived so very fully. I’m astonished at all that has occurred in these 50+ years. So much living, so much growing, so many events and moments. I feel in some ways like I’ve lived many lifetimes…a very happy thought. 5. Don’t wish time away. Young mama, this one’s especially for you. I know how hard and long some of these days can be. Full of the mundane of raising, cooking, cleaning, wiping, wishing away the To Dos, the Got to Get Tos. It may be hard to stay in the moment, but trust me, all too soon, this work will be done, and your kids will be raised, and your home will be quiet. You’ll have lots of time to think…and it will be really good in so many ways. But you will be sad too and miss all the chaos and craziness of raising kids. So stay here…in this moment…savor this time. Time goes fast, so fill it well, intentionally, moment by moment. Savor today. Know that whatever difficulty you are going through will pass. It may not go away, but the sting, the hurt will lessen. You’re going to be okay. In fact, you’re going to be more than okay. Because our God of all time, has your time, your purpose, your life in the palm of His hand. Elise has been married to Chris for 28 years and is mom to four beloved daughters, one son-in-love, and is expecting her first granddaughter in November!! She is the Cofounder and Executive Editor at www.CirclesOfFaith.org . 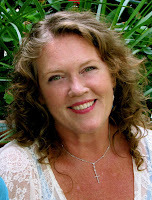 Elise has been a professional writer and editor for 30 years, and a writing coach for five. For more info, go to www.EliseDalyParker.com . Elise loves to speak with women in small circles, workshops, and at big events. She blogs at Our Stories Gods Glory, tweets at EliseDalyParker, and can be found on Facebook. I'm over here from Emily's place - love all the wisdom here! I need to hear the last one especially - cherishing the time I spend with my little boy. Oh Tanya...I know how hard this can be. But you will never regret spending too much time with your child! Blessings and thanks for commenting! "Time goes fast, so fill it well, intentionally, moment by moment. Savor today. Know that whatever difficulty you are going through will pass. It may not go away, but the sting, the hurt will lessen. You’re going to be okay. In fact, you’re going to be more than okay. Because our God of all time, has your time, your purpose, your life in the palm of His hand." YES! Delighted to join you Jenifer! Thanks so much for stopping by. Stopping in from Word Filled Wed. Love this and I find myself saying this all the time to my daughter. It goes by fast, people are only here a short time so don't take them for granted. We all think we have tomorrow, but no one is guaranteed. Thank you for this. So true Kim. It can be so tempting to live in the past...or rush toward tomorrow. This moment right now is what we have. Thank you for coming by! Hi Chris! I try to keep my time under God, but I must admit, I can fritter away time. And I know it's not what God would have us do. He's given us our time, we need to give it back to Him. Thanks so much for stopping by. Blessings! Wonderful words here (as I stand at the counter, playing blog catch up on my phone as one child is showering, one is doing spelling word review and I'm trying to clean my family room floor). My oldest is a h.s. senior this yr...so your words were esp valuable to me. So glad Christine...Of course, I write from whence I come! The juggling can be exhausting and sometimes you do wish it away. But whoosh and it's over. So the time that seems like forever, is not. Bless you friend! Trying hard not to wish time to go by faster, some days can't get over soon enough. I want to be more intentional with my time and savor it more. Wise words, friend. Savoring time seems to be what I am hearing a lot of lately. I look at my oldest girl and can't believe where the time has gone. There is no way to stop time but We can slow it down just a little by savoring, being present and looking for the simple small things that make it great. Thanks so much for this, Mom! Especially helpful for me, realizing I've already been at college for more than a MONTH! How did that happen?